According to the World Health Organization, ‘World Report on Violence and Health’, children who grow up in a violent environment are more likely to be victims of child abuse. Those who are not direct victims have some of the same behavioral and psychological problems as children who are themselves physically abused. As many as 275 million children worldwide are exposed to violence in the home. The Führer once told his secretary that during one of the regular beatings given him by his father he was able to stop crying, to feel nothing, and even to count the thirty-two blows he received. In this way, by totally denying his pain, his feelings of powerlessness, in other words, by denying the truth – Hitler made himself into a master of violence and of contempt for human beings. The result was a very primitive person, incapable of any empathy for other people. He was mercilessly and constantly driven to new destructive acts by his latent feelings of hatred and revenge. After millions had been forced to die for this reason, those feelings still haunted him in his sleep. Hermann Rauschning reports nocturnal paroxysms of screaming on the Führer’s part, along with “inexplicable counting”, which I trace back to the counting he did during the beatings of his childhood. Hitler did not invent fascism; he found it, like so many of his contemporaries prefigured in the totalitarian regime of his family. The National Socialist version of fascism, however, does bear unmistakable traces of Hitler’s childhood. But his early experience was by no means an exception. Thus, neither Gerhart Hauptmann nor Martin Heidegger nor many other celebrated intellects of the day were able to see through Hitler’s madness. To do so, they would have had to be able to see through the madness of their own upbringing. World Health Organization, ‘World Report on Violence and Health’, ed. by Krug, Etienne G., et al., Geneva, 2002. Hey Victoria, since following your blog I don’t know how I missed this article. I will come back to it when the hubby and kiddos aren’t around. I’m looking forward to reading your insights about child abuse. I’m sure I will be back to comment soon. Child abusers are consistently fashioning their children to become their best friends, even at a young age. They are cowards and their abused children continually do their dirty work: defending their parents. dealing with confrontations that their parents will never do themselves, being responsible for their parents’ love and comfort, and continuing their parents’ evil by obeying and following their parents’ commands and belief system. Abused children often become a third parent by being entrusted with responsibility, not only for their siblings, but for their parents as well. I think my experience is kind of common of having a parent, or both, work at a friendship with his or her child that she or he does not even have with his or her own partner/spouse. It is essential for the abused child to ALWAYS side with the abusive and or neglectful parent, even if it’s against a sibling. That’s sad, but it’s consistently true. I have confronted both of my parents about the neglect, physical abuse and I admit, I haven’t addressed the spiritual abuse much because I became an atheist less than a year and a half ago. Any time I confront either one of them, they both have a way of trying to make me feel sorry for them. For years, my mom would tell me “I didn’t know”. She meant that she didn’t know about abusive men like dad, then she’d run off in tears. When confronting dad, my sisters and I get “You don’t understand, we had seven of you kids!” Either comment from either one of them is nothing, but them expecting pity from their children for their own trespasses. I received a reply from my mother about that email I sent her and of course, she’s acting like she doesn’t even know what I’m talking about. Mom was always great at playing the naive card like a preschooler rightfully should. She acted as though she didn’t know about dad trying to contact me the same day I received her email. Of course, she let me know that she never even mentioned which sister she was talking about in her original message. She only wrote two or three sentences, but it seemed about like what I thought she would write. Haven’t heard from dad yet, but I’m sure he’ll go into some dragged out message about how snotty and ungrateful I am. I’m sure he’ll address my sin and worldliness while he’s at it. Thanks for posting this, Victoria. Charity, thank you so much for your response and feedback. As I read your blog over the last couple of days, I’ve been thinking a lot about this kind of abuse that seems to be socially accepted, yet causes untold damage on individuals, and societies. Amazing what one can get away with when they include the word ‘holy’ in the title of a book. I had planned on sharing this link on one of your blog posts, but didn’t so as to not detract from yours and Mr. A’s posts. But I’ll post it here. I think you will find it an interesting read if, and, or when you can find the time to read it through. It’s rather lengthy. But as I read your post, my mind kept going back to that article, and after you read it, I think you will see why. I have a very strong opinion about the apathy towards child abuse in the name of God — whether that be physical, psychological, or both. It shows that a “what goes on behind closed doors, stays behind closed doors” culture still turns a blind eye to the internal suffering among millions of young people. It changes the brain, often atrophying parts of the brain such as the hippocampus. Living in fearful, abusive environments can cause an increase of gray matter volume in the right amygdala, which is associated with fear and negative emotions. Some people are lucky and can recover. People have to sometimes spend years, even decades rewiring their brains after being in such abusive environments. Others are not so fortunate in knowing about neuroplasticity, and the impact can be tragic on a mass scale, especially if damage is done to specific areas of the prefrontal cortex. So, instead of our culture focusing on the importance of parenting, of early education, of nurture, of protecting the brain, we still see a lack of awareness of the importance of valuing what we have traditionally devalued. Instead, there is a prevalence to rely on tradition from archaic, ancient books that have little understanding of children, nor does it offer effective parenting skills; unless one considers beating a child with a rod into obedience (as noted and promoted in Proverbs), good parenting practices. Same goes for teaching children about a jealous God who sends floods, has a solid record of committing multiple genocides, and creates a Hell as a way of showing ‘loving mercy’. Total brainfuck. Total brainfuck indeed, Victoria. I’m at the point in my life where I cannot differentiate between a cult and religion. It’s all the same to me. I also cannot tell the difference between religion and spiritual abuse either for they’re both the same to me as well. Atheism is setting me free. Atheism teaches me the reality around me and helps me to deal with the now. The quality of people I have met since becoming an atheist seem far more wise, helpful and compassionate than any Christian I ever knew. Great article once again Victoria. Child abusers are manipulative. Ask me. My father was an alcoholic and used to beat my mother and us. My mom then ran away with a german who was in a circus. We lived in the circus for 2 years. Then she married my stepfather who was a verbal abuser. My mother was the kind that would hit us with anything she could find if she was angry. I suffered the most because I stood up for myself and was afterwards told ‘I asked for it’. These 2 families I had during my childhood had me believe that I ‘owe’ them everything in life and they would manipulate me by making me feel sorry for them. I guess what did keep me sane and not make me a ‘troubled child’ was my grandparents as we lived with them for years. That was indeed a blessing. Today I have no sympathy for any child or animal abuser. Guess what happened to me was to help me understand how they feel and if I can I will do my best to protect them. I’m so sorry for what you’ve been through, Sonel. My heart aches for you. I haven’t know you for that long, but from what I do know is that you are an amazing human being, and I can understand why you have pretty much lost faith in humanity. I did experience physical punishment as a child, but I don’t think near as much as you did. Christianity (the bible and the RCC) taught my parents that disciplining with a “rod” was OK. In my case it was a belt or tree switches. My parents now have regrets, but they were doing what they thought was ‘god ordained’. We live in a society that doesn’t think twice about dehumanizing children, and that’s a travesty. Hit an adult and it’s assault and battery. Hit a child and it’s ‘Godly’. Sigh. The woman in the video is clearly a psychopath. The interviewer was right — she got pleasure from inflicting pain on children. And to see her pregnant is very disconcerting. My email is in my gravatar. Please feel free to email me anytime. If you want to talk, and/or just want to shoot the breeze. I’d love to stay in contact with you. That sounds like a very interesting post and I will enjoy it for sure, just like I did the others you published. Very important information about possible effects of child abuse (of both the mental – like neglect or bullying – and physical/sexual kind). The video is entitled: The Bomb in the Brain – The Effects of Child Abuse. Hi bb, thanks so much for the reblog and for the link. I have seen the video series The Bomb in the Brain — The Effects of Child Abuse. It was superb. We now have the comprehensive Center for Disease Control study on the devastating effects of adverse childhood experiences. 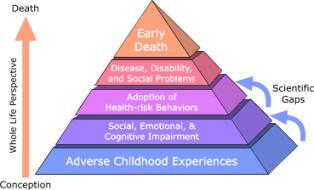 “The Adverse Childhood Experiences (ACE) Study is one of the largest investigations ever conducted to assess associations between childhood maltreatment and later-life health and well-being. This was so good, Victoria, that I’ve come back to it through the person who reblogged it. Personally, I’ve discovered that abused children are often abused by other adults and bullied by other children. It’s as though the abuse of the child’s parent/s/guardian/s puts a target on the child’s back for even more torture. I was consistently shoved, humiliated and made fun of by other adults and children. The very worst of these scenarios were in churches and Christian schools. Just this week, I told my therapist about a classmate’s step dad basically trying to drown me at my tiny christian school’s pool party. Not only do churches harbor some of the cruelest adults, they also hold the original mean girls’ club. Then as an adult as I was really struggling with my faith for two decades, I rarely found comfort among the godly. I mostly found yelling, anger and disdain, mostly from other generation x women and a few baby boomer church ladies as well. I rarely had difficulty with men, but when I did it was with baby boomer men and it was over the top. The cruelest thing (to me) about child abuse and severe neglect is their ability to take away a child’s childhood. I think our American culture sets up our environment for these monstrosities. It may have a lot to do with the emphasis our society places on a non existent entity. For instance, I recently watched something about the schools in Finland. They were once doing as poorly as ours. Now they only have school for 20 hours a week. They do not require standardized tests and they do not send students home with homework. They also have very few private schools, so, their schools are rich in diversity and the kids pretty much get along with each other. Before kids finish school, many of them know German, English and Spanish. The first thing I noticed about the teachers is how incredibly content they were. They all looked like they just got back from vacation. When the American interviewing them mentioned all of our American methods in education, the teachers asked “when do they have time to be children?” It seriously made me cry. I couldn’t agree more, and as you pointed out, it probably has a lot to do with authoritarian religion, which is quite prevalent in the U.S. As were children deemed in Abrahamic holy books, children are devalued in America, and animal rights organizations existed before organizations for the rights of children. Children are still perceived as property, in particular, the property of men, which is why they still continue to fight over women’s reproductive rights. I remember being made to feel like I wasn’t being a “godly” parent because I didn’t discipline (spank) my daughter as instructed by the bible, as though inflicting pain on a child’s body was somehow virtuous and healthy. According to a recent 50-year study, published in the Journal of Family Psychology, spanking a child is as harmful as child abuse. Btw, I watched a superb documentary about the schools in Finland, which highlighted many of the things you mentioned in your comment. Thank you for stopping by to reread this post, and for your comment. I’ve mentioned before that having young children played a huge part in my leaving that Jesus stuff behind. You know what you went through as a religious child, then you see the garbage that you’re about to do/just did to your child/children because of religion and you’re just like “NO WAY!” My kids saved me from “salvation”, I just know that they did. I owe them so much for just that alone. I remember hubs wanting our oldest to watch The Passion of Christ while he was between five and seven years old. I just couldn’t do it! I watched Jesus of Nazareth at that age and I knew how it ruined me. I had already seen that Mel Gibson movie twice before we had kids and found the idea of my baby boy watching it unsettling. As a deconvert now, I’m glad he never did. It’s so odd, even before leaving Christianity, hubs and I tried to find ways to move to Europe. If we ever had a shot at Finland, I’d take it! « Are We Entering An Age of Empathy?